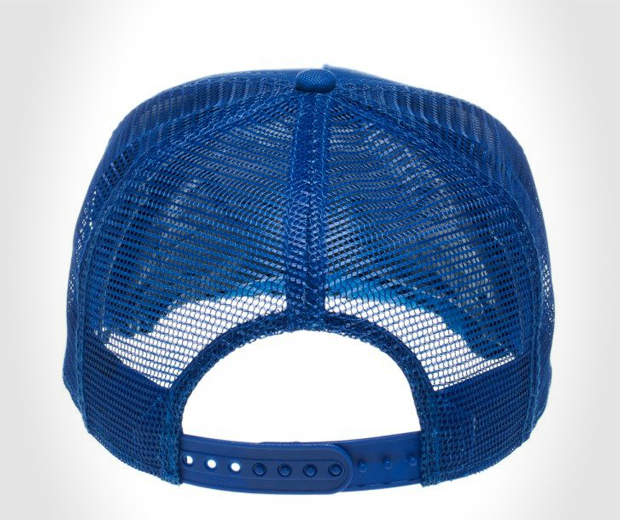 Have you ever found yourself walking down a street, whistling in the breeze and suddenly thinking to yourself “holy crap, this would be awesome if I looked like a Transformer!” Well wish no more, for these stylish one-size-fits-all trucker hats can help you achieve just that. 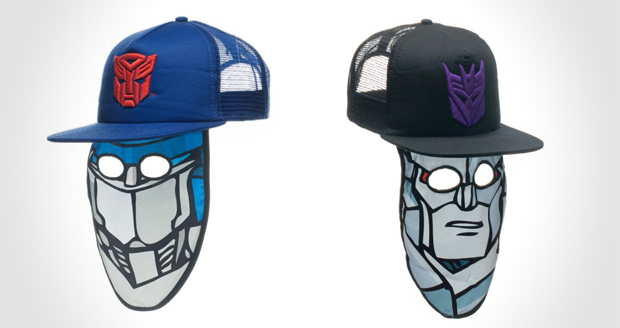 The Optimus Prime and Megatron caps come with matching red and purple logos, because apparently robots believe purple is evil. 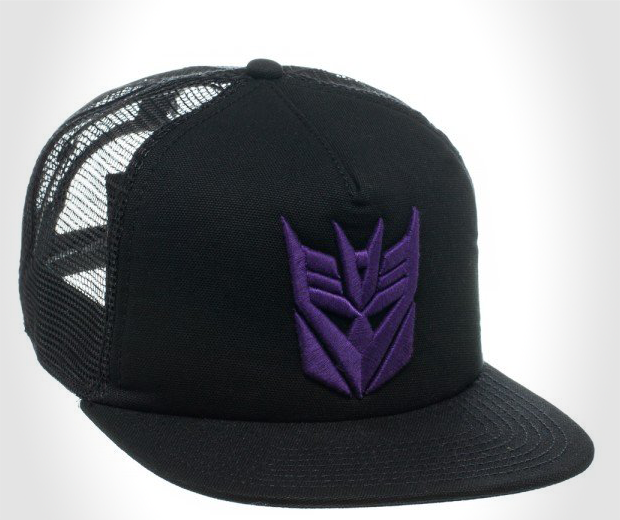 OP comes in blue with Megatron’s a sinister shade of black. The mask folds away when not in use, but if you ever need to scare old ladies, commit a bank robbery or just run around a park shouting “robots in disguise”, then just pull down the mask flap complete with eye holes and act like a massive mechanised idiot all you want.